Over the course of the last few weeks, I have been catching glimpses of a theme: the importance of investing in others. In a recent Catalyst podcast, Proverbs 31 President Lysa TerKeurst shared how accountability “has to be in a setting of relationship collateral.” The amount of “collateral” is often directly proportionate to the strength of the relationship, with Trust is at the very center. This theme made another appearance as I tuned into an EntreLeadership podcast with Bob Buford on my morning commute. Mr. Buford shared that mentorship is a “two-way street. . . and if it isn’t a two way street, it won’t last.” His relationship with management guru Peter Drucker was marked by investments made by both the mentor and the mentee. Every morning that we wake up to live another day on Earth, it can be guaranteed that our actions throughout the day will not occur in a vacuum. The decisions that we make are commonly influenced by others and we are also poised to influence others. Our daily to-dos, short-term goals, and even lifetime dreams are rarely achieved by our own strength. In the pursuit of each of these, we recruit those who are able to come alongside us and contribute their time, energy, and resources. This is how relationships work! However, if we are not careful, we can go about our own agenda, calling on the assistance of others, and miss out on opportunities to ensure that we are making relationship collateral investments while operating on two-way streets. Partner – someone directly involved in each and every day of your life (spouse, boyfriend/ girlfriend, roommate, etc.). Family – someone who perches in your same family tree. Friend – someone with whom you are on a first name basis: whether your relationship blossomed in the workplace, your place of worship, or they are simply a familiar face who makes your latte at the coffee shop each morning. Stranger – someone who is unknown to you on all levels, but crosses your path as they live out their life in the same world as you. Mentor – someone who invests in your life on a regular basis or someone whom you respect for a character trait or ability that you would like to possess and/ or refine. Kick off your own mission to Build 5 and share your story in the comments below! If my memory serves me correctly, it was only a few months ago that my friends’ moms graced our Elementary School classrooms with their presence. Loaded down with Tupperware filled with decorated sugar cookies and boxes of craft supplies, they hosted our holiday parties in style. Before the last bell to go home, everyone created their very own Santa Claus ornament to put on their Christmas tree. Maybe it doesn’t seem like a lifetime ago because Mr. Claus is still tucked away with the decorations in our garage. Thanks to the overwhelming popularity of social media, I have virtual connections with many of my childhood friends. As I peruse pictures of weddings and new babies, the reality sinks in that our parents are entering a new chapter that includes empty nests, retirement, and a new-found love for their very own grand babies. The same women that spent their nights helping us to learn multiplication tables and cheering us on at every game, all while balancing loads of laundry and work outside the home are now setting sail on uncharted waters. Their character has been established over the years, so their compass has a strong sense of North. The sails of their ship have withstood storms of chemo treatments and scorching rays of financial stress. Stowed away below the deck are cargo chests overflowing with precious memories from the past. Many of these women are bursting with excitement as they consider how they might be able to spend more time with family and friends, or traveling the world, as they bid adieu to the demands of the workplace. With such a considerable amount of anticipation, I can only imagine that the first weeks of retirement would feel like a vacation. What happens when the newness wears off? Once every nook has been dusted, every sock pair has been folded, every weed has been pulled, and the refrigerator is stocked, there is a beautifully wrapped gift of hours in the day and days in the week. The same strengths, talents, and abilities that course through the veins of these women will continue to flow for as long as their courageous hearts will beat. The next generation is hungry for the wisdom of these women and parts of the world have yet to be touched by their compassion. It is my desire that women who are entering into this season would board their ship with boldness, carrying a map to navigate their course. My heart beats in tandem with my heart for young women, to see the generation who paved the way before me continue to thrive as the women they are created to be. I look forward to the moments when I see BIG dreams come to life – the moments when the women I work with begin to understand that the waters ahead are not privy to cruise control, but require a great deal of confidence at the helm and dedication to living out their life purpose! The year was 2002. If I remember correctly, it was a typical 90 degree August day in Colorado. I may have glanced at the forecast, but it didn’t change my wardrobe decision in the least. Nothing was going to stop me from wearing a new pair of American Eagle jeans and button down dress shirt to my first day of classes. Dressed in my new threads, I made the trek from my Z-lot parking space to my first class. Standing before an audience of wide-eyed freshmen, our professor was acutely aware that we were all anxious to make a good first impression. It would only be a matter of time before our enthusiasm waned and we became disillusioned by the philosophy readings that were assigned for a class intended for the discussion of genetically modified foods. Parallel to the marked decline in our class’ excitement, my hope of attending Medical School at Creighton University to become a Pediatrician would take a nose dive with each Chemistry exam. My reaction was to move away from the pursuit of a degree in Biology and enroll in courses to complete a degree in Sports Medicine. Even with the change, I would still be on track to graduate in four years and I was convinced that I would be more engaged in my course work. The switch proved to be a wise decision, as I thoroughly enjoyed my Nutrition and EKG classes, but I still lacked authentic focus. In high school, there are a number of things that are vying for our attention, but required attendance at school, rehearsals, and practice direct our every move. Donning our cap and gown at graduation, we are blissfully unaware of what it will mean to steward our time, energy, and resources when we get to call all the shots. 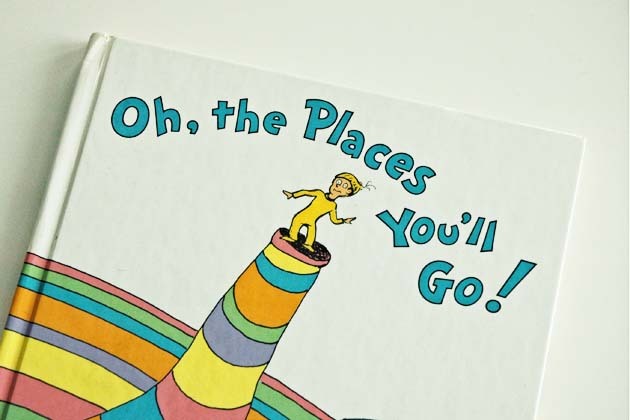 At that point in time, we are simply armed with a new copy of Oh, the Places You’ll Go!, confident that we are ready to be world changers. When I worked with my LifePlan Facilitator to focus on my Life Domains of Career, Personal, Family, Ministry and Community, the pieces from my past came together to paint a picture that helped me to better understand how to thrive in the future. Throughout the process, I often thought to myself, “If only I had the opportunity to work through this in my college years!” I was brought up by parents with exemplary character, who always encouraged me to do my best. My mentors at church were faithful in their prayers and always available when I needed a listening ear. From my childhood, teachers and coaches applauded my achievements. Even so, I’m not convinced I was fully prepared to set foot on the CSU campus. If I could travel back in time, I would have coffee with my 18, 19, or 20 year-old self to talk through what it means to stay focused and committed to specific action items. Taking time to develop a plan would have set me on a more specific trajectory, armed with an understanding of who I was created to be. Not only would I have had my sights set on the future, I would have been experiencing intentional growth in all areas of life. A decade later, I recognize that I have an opportunity to mentor young women who are walking the sidewalks of our local college campuses and those who have recently graduated, ready to make their mark on the world. My prayer is that the Lord would open doors for years to come, where He can expose the truth about who they are created to be, that their lives would count for more than they ever dreamed possible, and that they would chase after the calling on their lives with reckless abandon! How do you like them lemons? As the saying goes, “When life gives you lemons. . .” But what about the moments when you are doing your best to run the straight and narrow and WHAP, someone chucks a lemon and it hits you in the back of the head? It’s not always easy to make lemonade from something that is perceived to be an assault weapon. Herein lies the challenge: don’t settle for making lemonade. By the time you squeeze the livin’ daylights out of it, hoping there is enough juice to make something worthwhile, and then add LOADS of sugar, you just lied to yourself about just happened. According to the Starbucks Corporation Fiscal 2013 Annual Report, “consolidated revenues reached a record $14.9 billion.” We’re addicted. Before the “mine and yours” of finances became “ours,” I was on a first name basis with the Baristas at the ‘Bucks. Our bank account smiles a bit wider with a fresh pot of coffee each morning and an occasional latte. There are few things I crave as much as I used to crave a Skinny Vanilla Latte on a crisp autumn morning. A cold diet lemonade from Chick-Fil-A however, is hard to brush off, once it’s on the brain . . . especially when it’s been one of those days. Out of nowhere, I was hit pretty hard with an AWOL lemon this morning. My immediate internal response was to get worked up. A voice in from my past was echoing back, “Choose your attitude.” Escaping Cube Farm, USA for lunch, I made a quick pit stop at the Chick-Fil-A across the street for a glass of lemonade. The day was already looking up. 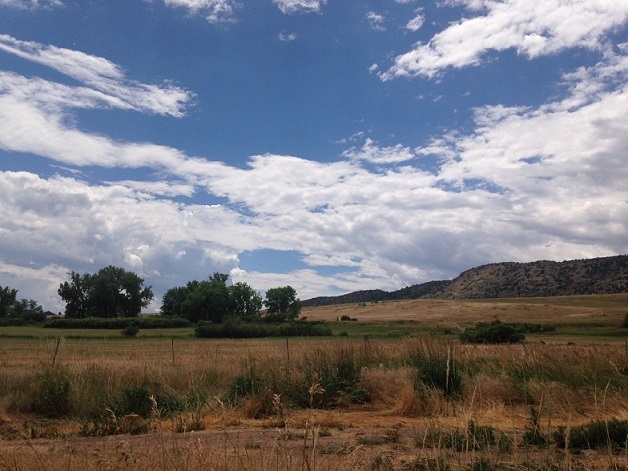 A few miles down the road, is a picturesque open space. 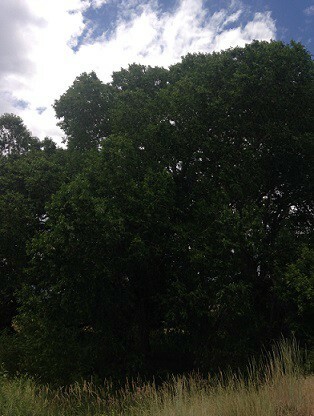 Seated in the middle of Creation, near a quiet creek, I looked up to the trees that towered around me. Those trees didn’t stand so tall because they broke under the weight of torrential downpours or withered under the scorching summer heat. Their branches reach the highest heights because they are deeply rooted and have continued to grow in the midst of many storms. 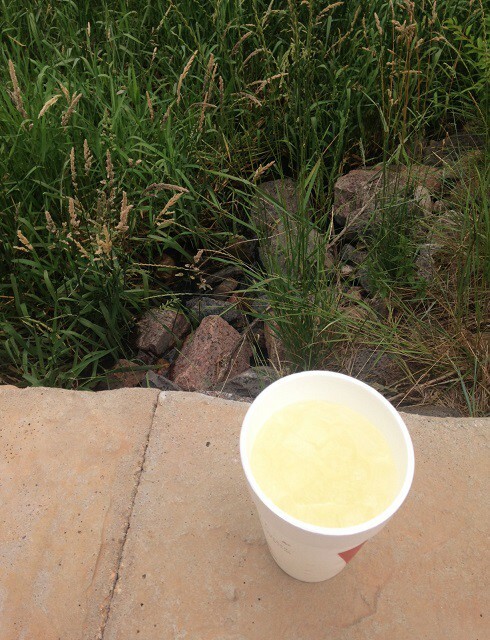 With my delicious drink in hand and so much beauty surrounding me, I decided to let the lemon drop. I’m not going to try to understand, sift through, resolve or even confront what I perceive to be an issue in an attempt to make sweet lemonade. Instead, I’m going to let the lemon rot and allow my tree to absorb the nutrients to grow that much stronger. Picking up my phone, I placed a call that will hopefully keep me growing in my career path. If we allow the sting of the lemons in life to distract us from moving forward, we are making repeated mistakes that could hold us back from experiencing the better things in life. With the weekend in clear view, I say that it’s time to let the lemons rot, get out into Creation, and maybe even put on our big girl shoes in preparation of doing some hard things next week! 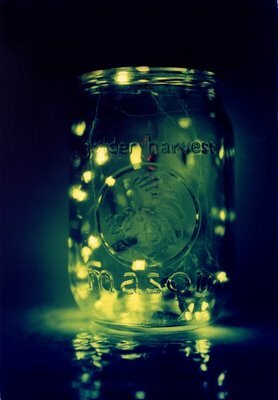 Fireflies are rarely spotted west of Kansas. Born and raised on Colorado soil, I have yet to cross paths with a little lightning bug. Even so, I want to see a firefly someday. I don’t need a forest filled with fireflies to grant my heart’s desire. If I can find just one, it will be forever checked off my list. In the hustle of our days, we seek out ways to improve our lives, to create efficiencies in the workplace, to grow our bank accounts, to conquer the next roadblock. Those who know me well will confirm that I am most certainly not opposed to goal setting and discipline. In fact, it drives me. 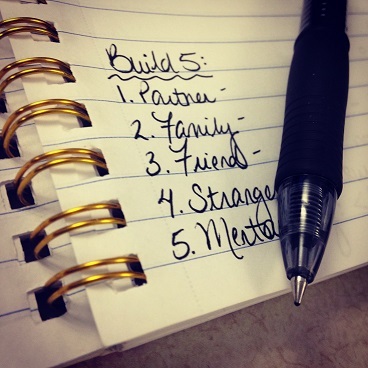 I enjoy list making and carve out time each Sunday to plan the upcoming week. I hope to spend many of my days helping women better understand who they are created to be, charting out a course for action that will help them to thrive. Yet in all the planning and all the doing, I hope we find time to chase fireflies. Whether it’s by way of eucharisteo – unearthing the joy of giving thanks in all things, or by way of adventure – traveling the road unknown, I believe it is important to not only dream big, but to dream about the small. If we are always giving our time and attention to the great, there is a chance we will miss the beauty of the simple. Cover the page corner of your list of to-dos by putting pen to paper the small things you hope to experience, witness, learn, and cherish. Be diligent to discover delight! How fit is my response? When it comes to physical fitness there are a number of ways to measure one’s fitness level. From flexibility to strength, there is always room for improvement. One measurement that is commonly utilized by athletes is Heart Rate Recovery (HRR). After a short bout of submaximal exercise, the heart rate is recorded one minute after the exercise has ended. The decrease in beats per minute indicates the ability of the cardiovascular system to return to rest. 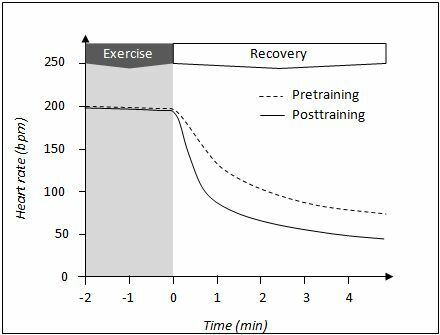 With consistent endurance training, HRR will increase as the body is able to return to rest more quickly. As we navigate each work day, regardless of profession or trade, we are sure to encounter difficult people and situations. Any given day may begin with a breathtaking sunrise, a carefree commute, and an attitude that can summit the tallest mountain. Without warning, an unpleasant coworker or unforeseen issue can knock us off our game, sending us reeling. If we are not seasoned or mature, the rate at which we recover can place us in a category that is unfavorable. Carrying the weight of the day from the cubicle to the dinner table should hoist red flags to alert us that we’re not processing the situation with grace. Even worse, harboring bitterness for days, weeks, and seasons can destroy productivity and render us paralyzed in our ability to contribute as a strong teammate. Lately, I have been asking a simple question that has led to even deeper introspection about my role in my current workplace: How fit is my response? Am I able to recover from moments of frustration, or does my “heart rate” remain elevated much longer than is healthy? My prayer is that the Lord would empower us to deal in the currency of great grace, treating each person with more patience than any of us ever deserve, and that our attitude would not be a grand façade, but a true measure of maturity! So, you wanna be like Mike? Anyone who has ever crossed the finish line of an endurance race will tell you that it demands a training regimen that is both physical and mental. The very first time I registered for a triathlon, I completed the online form, purchased a road bike, a suit, a swim cap, and a pair of goggles. Saying ‘yes’ is the exciting part. We so quickly agree to try new things, but have no idea how much work will be required to finish. Jumping into the pool at the Colorado State University recreation center, I did my very best to swim from one end to the other. 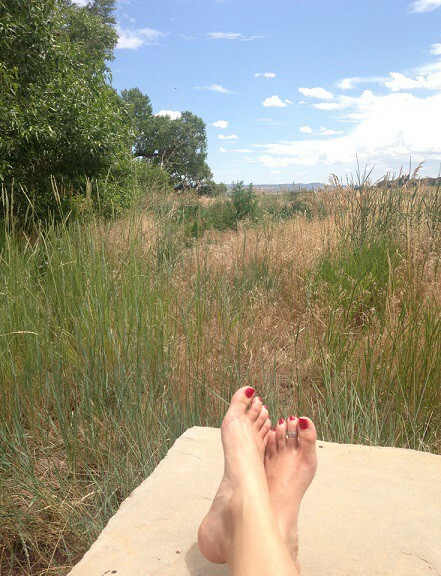 Once my fingers graced the concrete edge, I stood up and gasped for my next breath of air. One length felt like the definition of misery and I had a half-mile, open water swim to train for. It was clear that the battle would be uphill before it would ever get easy. That year, I finished the swim in 24:10. Was I the fastest in my age group? No way. By 2012, I shaved almost five minutes off my first time to finish in 19:37. Was I the fastest in my age group then? No, not that year either. I was still a good distance behind the first athlete out of the water. With less than six weeks until this summer’s race, there is ground to cover. 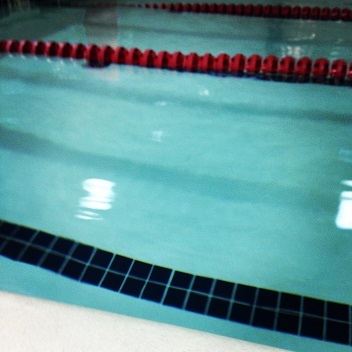 This morning’s workout had me back in the pool. If I were to finish my first lap, determining that would suffice for today, my body would not be conditioned to swim for nearly twenty minutes without stopping. Michael Phelps has been known to say that what made him competitive in his swimming career is his willingness to “stay in the pool.” Even after most would be satisfied with the work they accomplished during their Olympic-level workouts, Michael pushed to work passed the level of commitment they invested. With 18 Olympic gold medals, I doubt anyone will argue that his hard work paid off. In what areas do you aspire to experience growth? Whether it’s part of your personal domain (physical, emotional, mental, spiritual, or financial) or a part of you that extends to influence the lives of those around you, commit today to not only get started, but to work the muscle of Discipline. See that commitment through to the end! Many will start. Will you be one of the few to finish? Not sure how to take the next step? I would be honored to speak with you about how investing in your own LifePlan can get you started on the path to something new and exciting that encompasses who you are created to be!